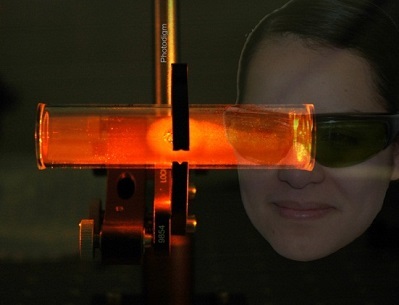 This photo-montage shows the resonance fluorescence Rb at 795 nm. The cell contains a small amount of Rb, which has a vapor pressure of 4 x 10-7 torr at room temperature. This small amount of Rb resonantly absorbs light at 780 nm, exciting it to the D2 state. It then relaxes to the D1 state, where it fluoresces to the ground state at 795 nm. Photodigm has been developing and designing single frequency laser diodes since our inception. In 2008, we delivered our first Spectroscopy Certified products to our customers. They were designed for the Rb D2 line at 780.24 nm and the metastable helium line at 1083 nm. They were used for alkali atom laser spectroscopy. Since that time, we have sweated the details with our proprietary AlGaAs epi designs and our in-house wafer fab. We have continually expanded our product line. We now provide devices for the D1 and D2 lines of the alkali atoms K, Rb, and Cs; the metastable helium pumping line at 1083 nm. For molecular species, we have 828 nm laser diodes for H2O, and 760 nm laser diodes for O2. 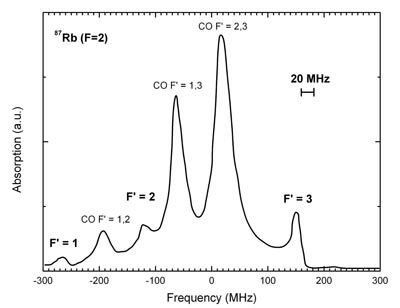 As a result, we are now the recognized leader in lasers resonant with atomic and molecular transitions in the near-IR spectral band from about 740 nm to 1100 nm. We have the broadest range of wavelengths and the highest available power in these diodes. 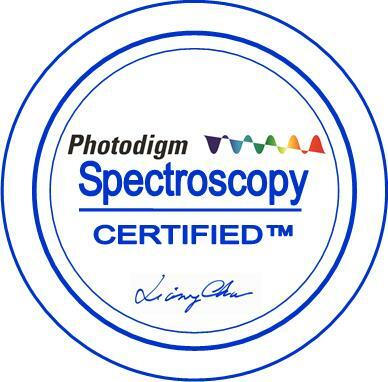 Photodigm Spectroscopy Certified laser diodes are fabricated, tested, and packaged with these critical end uses in mind. Each device is individually screened and certified to be resonant with the designated transition within the specified operating range. DBR Laser diodes for atomic clocks and other applications based on alkali atom laser spectroscopy cooling. These DBR lasers are also used in magnetometry using optically pumped metastable helium.